Deny it or not , we are storing our valuable data on the least reliable component inside your computer. The hard disk drive . Yes , the arcane stone age computing technology that outlived its peers . We are no longer using audio cassettes and VHS tapes , still my system contains an electro- mechanical device to store the bits and bytes. My data is jam packed in the form of millions of tiny magnets with a razor sharp head mechanism flying so close to it . A single crash that happens due to my tapping of the desk will prove disastrous. The introduction of the Flash memory technology in the form of pen drives was a reliving factor for me initially . As the price slashed further and further , I thought that this technology will replace the hard disk for the fraction of the cost of the current hard disk technology and with improved efficiency . It was just a dream and I learned that these slow performing flash devices are less reliable and slower than my good old hard disk . So I stick on to the hard disk drive for the mass storage needs . After that the SSD ( solid State Drives ) comes to scene which offer a direct replacement to the current hard disk technology . Initially I thought it is just another form of my flash memory like SD or CF . But the price tag associated with these new SSD devices made me realize these are some thing else . With costs that is approximately 10 times as that of my conventional hard disk they were not an affordable option . So why these new gen SSD have such an astronomical price tag when other flash memory technologies prices are dropping day by day ? First of all the normal flash drives are never expected to be direct replacement of your hard disk . They are just used as an off line data storage devices which serve as a backup drive in most of the cases . The speed of the these flash devices are relatively low and will not compete with the data transfer rate of your hard disk . Also the read write cycles are very restricted . In a typical hard disk drive there will be millions of read / write operations per day which a typical flash drive will never tolerate. 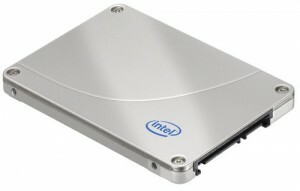 The SSD uses the advanced NAND technology with tremendous increase in data throughput and the ability to withstand millions of read write operations just like a normal hard disk drive make it the ultimate choice for a drive which can hold your operating system and important applications ie even if you can not afford a high capacity SSD which will hold all of your data , you can invest on an SSD big enough to hold your operating system and your most important application software and can use a conventional hard disk for your normal data storage ( sounds good only for a desktop as most of the laptops now a days will not permit you to put two hard disk on a single system.